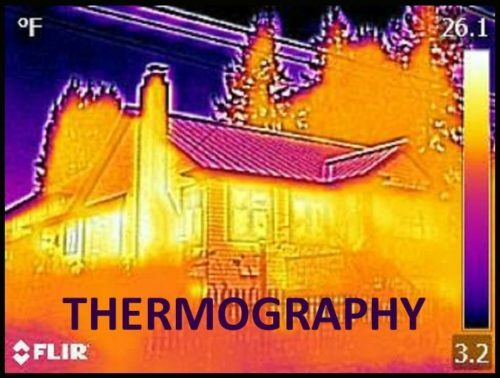 Thermography - Charles Buell Inspections Inc.
Infrared technology is more and more showing up in Home Inspector’s tool boxes. The technology can be very useful in conjunction with other tools in that box in assessing the conditions within and outside a building. Some of the applications are the detection of heat loss, moisture damage, air leakage, inconsistencies in insulation coverage, electrical issues, evaluation of radiant heat system and much more. What the infrared camera does, is make-visual what the human eye cannot otherwise see. It can “measure” the ability of a surface to emit, absorb and reflect infrared radiation. There are temperature differences associated with how different surfaces emit, absorb and reflect radiation. The most sophisticated of these cameras can measure these factors and translate them into actual reliable temperatures that are useful in the diagnosis of an object, but that translation requires considerable input and experience from the person using the camera. 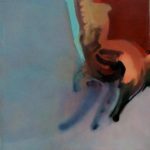 Infrared technology opens up a Pandora’s Box of possible false positives, false negatives–as well as no apparent information at all. 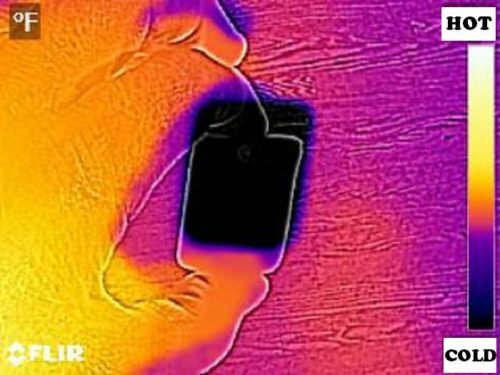 I could argue that home inspectors using the technology to find “temperature differences” as opposed to specific temperatures may be able to make at least as reliable use of the camera as someone that is using it to take “specific” temperatures of surfaces. Unlike Superman, infrared technology is not even close to what Superman could do–it merely sees the surfaces of things. 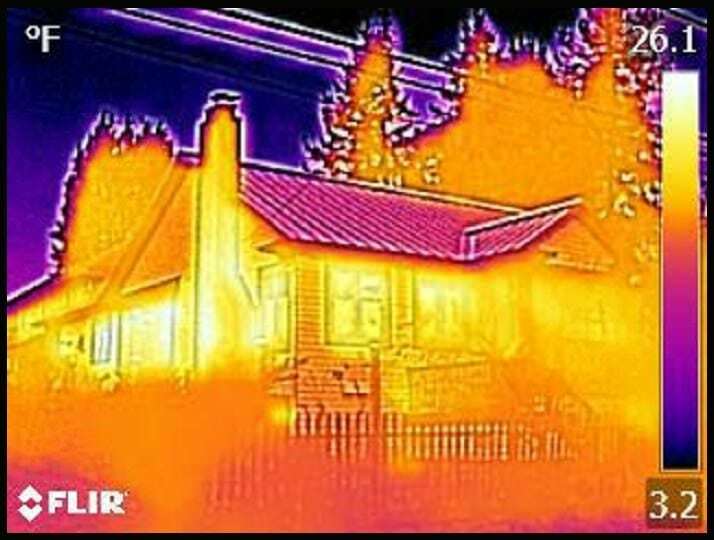 Here is an example in pictures of how an infrared camera can be useful to a home inspector. In the first picture, no infrared technology is really necessary. We can “visually” see the black ghosting around the opening to the crawl space access. 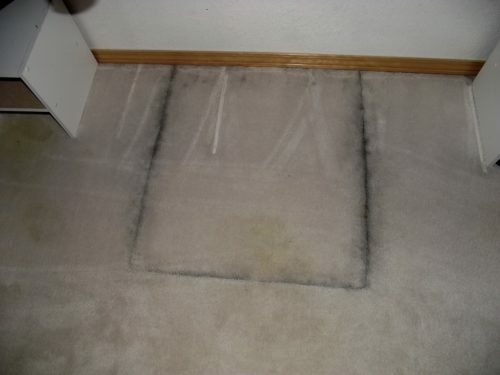 This black ghosting is caused by air moving out of the crawl space into the living space and the air is being filtered by the carpet. I know! YUCK! Missing weather-stripping can make the crawl space access a significant source of “fresh air” to the home. It is very important for these covers to be properly sealed. 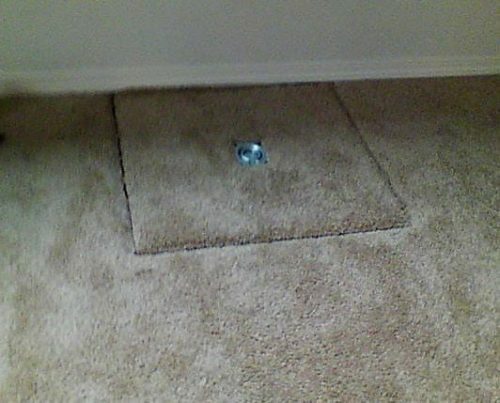 Now in this next picture we can see a similar access hatch, but this time the carpet is brand new. No ghosting—no air movement, yes? 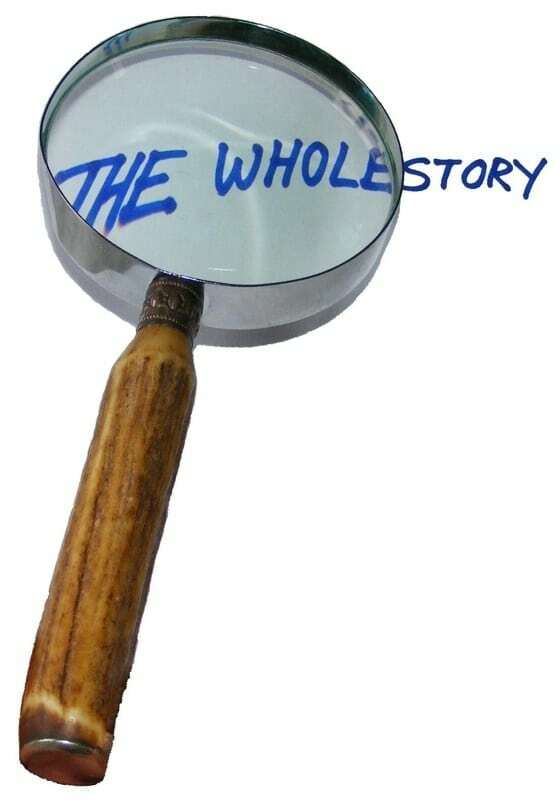 Well of course we cannot make any conclusions or deduce anything at all because there has not been enough time for the carpet to tell its story. But if we look at the opening with the infrared camera we can see that ghosting once again, and are able to visually describe missing weather-stripping on the hatch cover–just like in the first picture. But this time at least it is in pretty colors. 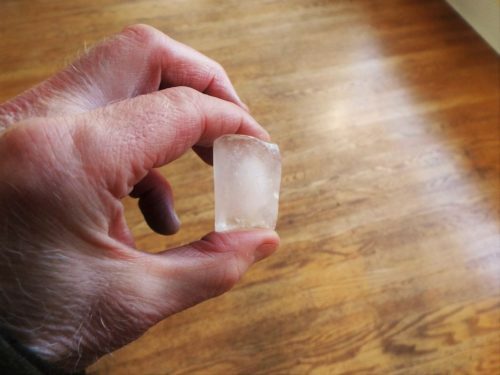 To give you an idea of just how important understanding temperature differences is, I will show you three pictures of an ordinary ice-cube. The first picture is of the ice-cube indoors. 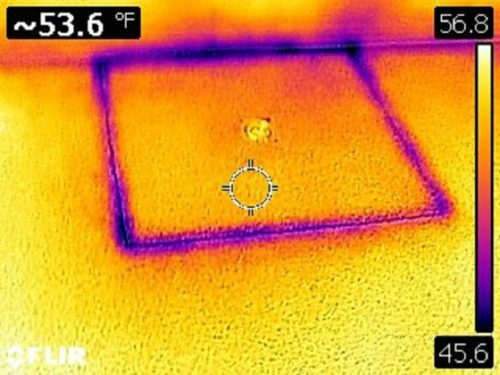 The second two pictures are the thermal images of the ice-cube, one indoors held over the wood floor and one outdoors held to the night sky.